It’s finally Spring…and that means the start of the busiest season for home buying. If you are considering buying your first home—or love someone who is ready to own – I want you to be smart about your down payment. A 20% down payment is still considered the gold standard. 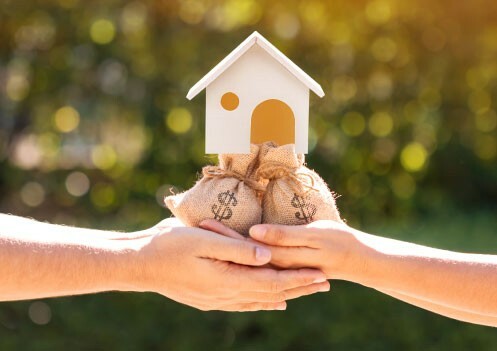 If you can bring that much cash to the deal –and you have a solid financial picture – lenders are going to be eager to offer you a great deal. But that’s not realistic for many of you, especially first-time buyers. The average home down payment is around 7% these days. In fact, many people are putting down just 3% or 3.5% as there are national mortgage programs specifically designed for such low down payments. I am not a fan of low down payments. At a bare minimum I want you to make a down payment of at least 10%. If that means looking for a less expensive home in a less expensive neighborhood, then that’s what you should do. I think a 10% down payment proves to you that you are serious about home buying, and you will be motivated to make sure you stay on time with your payments. If you do go ahead with a down payment below 20%, you need to understand that there will be an additional cost. When you buy a home with a down payment below 20%, the mortgage lender is going to be a bit nervous. After all, you have less of your own money riding on this transaction. So, to help lenders past this hang-up you have to buy an insurance policy for the lender. It’s not insurance that protects you. Rather, it’s insurance that protects the lender if you stop making timely mortgage payments. There are two national programs that allow low down payments, with insurance. FHA-Insured Mortgages: You can purchase a home with just a 3.5% down payment, and the insurance, called the Mortgage Insurance Premium (MIP) is wrapped into the mortgage. Everyone who takes out an FHA-insured mortgage pays the same MIP: There is an upfront one-time cost of 1.75% of the entire loan amount, and then you owe an annual insurance premium of 0.85% if your down payment is below 5%, and 0.80% if your down payment is between 5%-10%. Those costs are rolled into your monthly payment. Conventional Mortgages: Lenders that follow federal guidelines can accept down payments of just 3%, but those loans will require you to also pay for private mortgage insurance (PMI). The cost of PMI is based on the size of your down payment and your credit score. When you take out an FHA-insured mortgage with a low down payment, you will be stuck paying the MIP for the life of the loan. Even if five or 10 years from now your equity (the appraised value of the home minus your original mortgage amount) is more than 20%, you’re out of luck. You will still be required to pay the MIP until you sell the home, or refinance. With a conventional mortgage, you can cancel the PMI once your equity reaches 20%, and the lender is legally obligated to automatically cancel it when your equity is 22%. But often people are steered into FHA-insured mortgages because they don’t have a great credit score, and thus would pay more in insurance if they took out a conventional mortgage with PMI. Here’s the truth I want you to stand in: If your credit score is too low to qualify for a good conventional mortgage/PMI deal I don’t think you should be buying. Raise your credit score first. It’s going to help you qualify for a better interest rate and a better PMI deal.